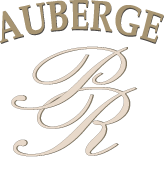 The Auberge is comparable to a quaint and beautiful mansion. Nineteenth century inspired decor with original wood mouldings. Each of our 12 units has its own charm : brick walls, warm lighting and huge windows. Our 6 suites are all facing the Old Port and the Saint-Laurent River. The magnificent view on the sun rising or setting will leave you breathless. Finally, you will feel a bit majestic while climbing the impressive original wood-carved central staircase leading up to your room  just one of the many things that will make you feel special during your stay with us.